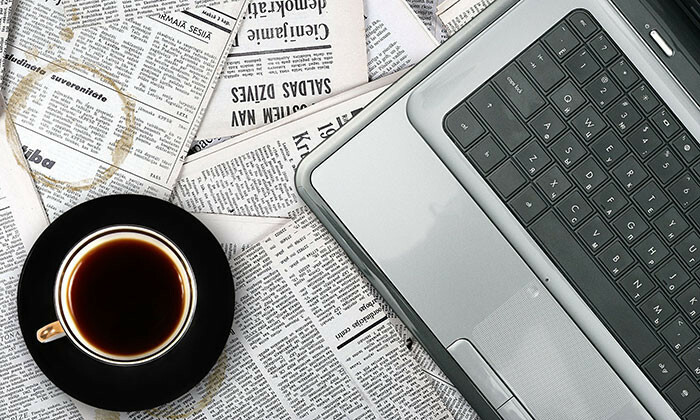 Sharing fake news and misleading content can be detrimental to a brand’s image. This was according to a new study by YouGov, which found that 54% of APAC consumers surveyed would stop purchasing from a brand which promotes fake or misleading content. 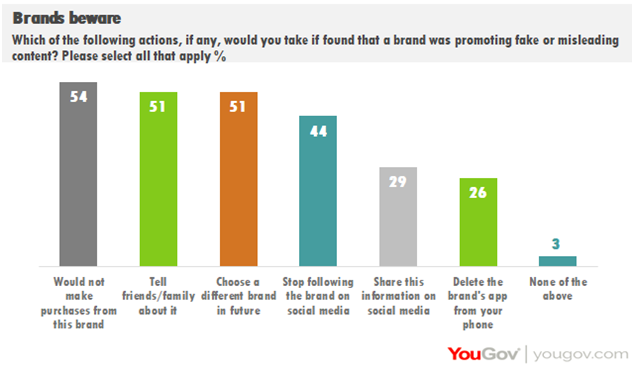 In addition to that, 51% of respondents will choose a different brand in the future or tell friends and family about it. 29% of respondents would share that the brand is promoting fake news on social media. Brands also need to take note of the platforms which they are advertising on. When it came to APAC respondents, over half (54%) were found to have a more negative perception of a brand advertising on a platform containing fake news. Additionally, two thirds of APAC residents (66%) were also found to trust a brand less when it advertises on a platform containing fake news. Meanwhile, the study also showed consumers being more cautious online, with 56% of consumers surveyed conducting independent research to check the validity of news stories. The study also found television to be leading in terms of most trusted source for news. Three quarters of respondents (75%) were found to place little or a lot of trust in TV. Following behind is radio with 70%, and newspaper, which saw 68% of respondents placing trust in the medium. In contrast, digital was found to be the least trusted source for news, with 60% of those surveyed saying that trust digital sources. For APAC residents, 68% of respondents were found to believe that there is a problem with fake news on digital platforms. Despite reporting high levels of trust in TV, nearly half of respondents (47%) believe there is a problem with fake news on television. 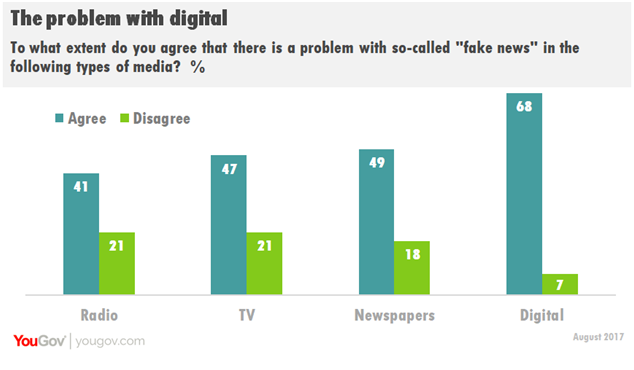 49% of respondents also voiced similar concerns towards newspaper content, followed by radio content at which saw 41% of respondents showing concern. This shows consumers acknowledging that these traditional platforms are capable of spreading “fake news”. Although 58% of respondents trust news which friends and family share on social media, only 13% of those surveyed placed “a lot” of trust in the news shared. Australians were found to be the least trusting, with only 7% of respondents not placing any trust in content shared by family and friends. This is more than double the regional average when it comes to distrusting friends and family as a source for news. This comes as the study finds 37% of APAC residents sharing online news content on social media at least once a day. The figure was found to be higher in Asia countries such as Thailand (54%), Vietnam (50%), Indonesia (44%) and the Philippines (40%). The YouGov study was conducted in July 2017 surveying 8,869 respondents from Singapore, Malaysia, Indonesia, Hong Kong, Thailand, Vietnam, Philippines and Vietnam.